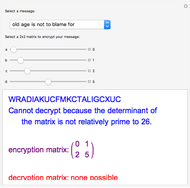 In a Hill cipher encryption, the plaintext message is broken up into blocks of length according to the matrix chosen. 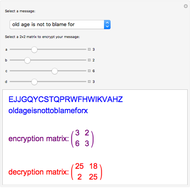 Each block of plaintext letters is then converted into a vector of numbers and is dotted with the matrix. The results are then converted back to letters and the ciphertext message is produced. 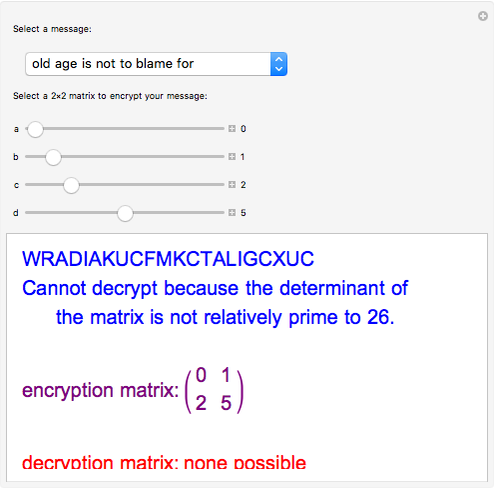 For decryption of the ciphertext message, the inverse of the encryption matrix must be found. 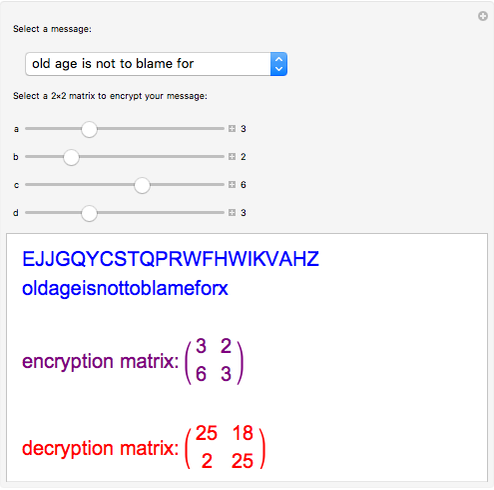 Once found, the decryption matrix is then dotted with each -block of ciphertext, producing the plaintext message. 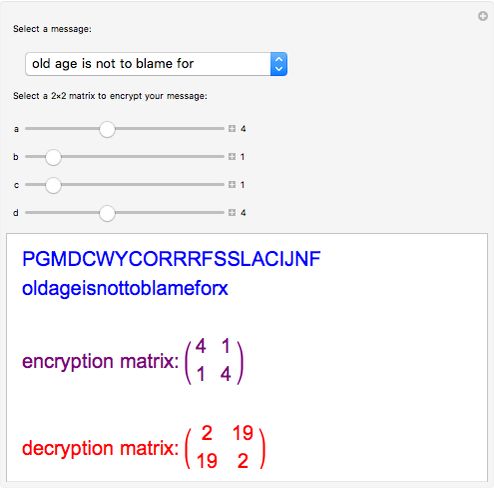 Due to the nature of the algorithm used, spaces and punctuation are lost in encryption. Greg Wilhelm "Hill Cipher Encryption and Decryption"